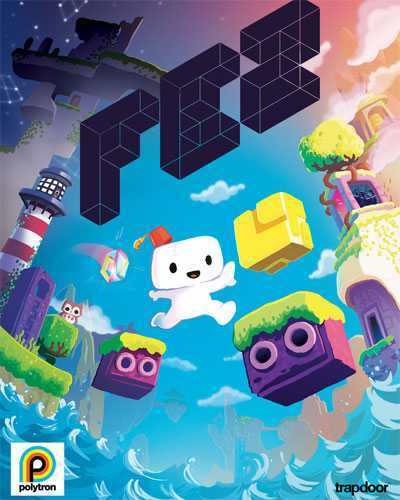 FEZ is a Platformer, Puzzle and Adventure game for PC published by Polytron Corporation in 2013. Help Gomez to solve the complex puzzles. This is an award-winning game with great meta scores. We can say that FEZ has made revolution in 2D games! He was living in a little town without any problem. Until he finds a red hat named FEZ. This hat opens new worlds for him. So he decides to start adventuring in these worlds. At first, He wants to know that where has this hat came from. Also there are other mysteries inside his mind. But he even doesn’t know one of their answers. Take the roll of Gomez to enter an amazing universe with lots of secrets. Now, Your life has been changed and you have to find the pieces of the golden cube. The pieces of this cube are hidden in all of the worlds. Players have to look carefully to find them. Sometimes, It seems really hard to find a piece. After finding it, You will see how easy it was. Although this game has 2D graphics, But it can be changed to the other sides. It means that all of the environments are movable. At each side, You may find new items but there would be nothing in the other side! There are no enemies in any level of the game. But you have to care when moving from a side to the other one. Because Gomez may fall down. Instead, There will be many obstacles prevents you from getting through. This game has unbelievable average score in Metacritic! Critics have rated it 91/100 averagely. Also the players rating in Steam is 9/10. Hundreds of puzzles at this amazing game! 24 Comments ON " FEZ PC Game Free Downloads "
It says that the folder is password protected, help? Look under the download link. Amigo a senha é inválida. Ao inserir a senha de extração o mesmo informa um erro na operação. Atualize a senha por favor. ótimo site. Desculpe-me amigo a senha está correta eu que me equivoquei e estava dando errado mas copiei a senha novamente e deu certo. I can only imagine it gets immensely annoying when people ask about the password when you have it listed. I downloaded it and everything, and it just took me back to this website, help. I downloaded it and everything and it just took me back to the website, help. I cannot find the password. The link takes me to the homepage. What should I do? The password is the link. I like this game because the fez game is good?????!!!!!! The password is https://www.freegamesdl.net. Just put that into the password box.